MindMup.com is a free, effortless way to create mindmaps that can be saved and shared. 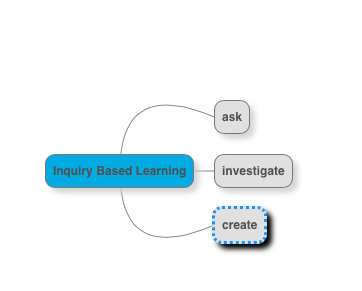 Once created, students may choose a topic of interest from their mindmup to research. Mindmup requires no downloads or log-ins. For collaborative real-time mind-mapping, check out Mindmeister.com Mindmeister, unlike Mindmup, is available on all devices and work can be saved and accessed from any device.